Bangka Island in the Bangka Belitung Islands is getting ready to build two new Special Economic Zones (KEK) to be located in Tanjung Gunung and Sungailiat, Central Bangka. As reported by kompas.com, Tourism Minister Arief Yahya said both KEKs would focus on tourism, adding that several relevant stakeholders had surveyed the areas. "I've visited the areas and they have potential. The Agrarian and Spatial Planning Ministry has agreed. Our proposal has been accepted and approved by the National KEK Council," Arie said in Jakarta recently as quoted by kompas.com. The two KEKs are set to enter the financing phase in July, of which the National KEK Council will be in charged. "Once we have the KEK [permit], it would be easy to build anything. It would be easy to build facilities and infrastructure, such as widening roads or building an international airport and so on," Arief said. Tanjung Gunung has been earmarked as a zone for the meetings, incentives, conferences and exhibitions (MICE) industry, and PT. Dyandra Promosindo is ready to invest to build the facilities. Other investors are prepared to build hotels and glamping facilities. Sungailiat subdistrict, meanwhile, has been designated to highlight sports, tourism and culture, with the Tourism Ministry seeking to develop a golfing hub. Arief noted that while plans differ for Sungailiat and Tanjung Gunung, both area are home to stunning natural landscapes, including outstanding marine wealth. "Both are maritime destinations that can attract cruise ships. Their location is strategic for a cruise," Arief said, while acknowledging the challenge that cruises stil preferred to stop in Malaysia, which is only 45 minutes away from Bangka. The Tanjung Gunung KEK, located only 7 kilometers from Dipati Amir Airport, will span 385 hectares. The Sungailiat will be spread across 600 ha of land that includes Rambak Beach and Rebo Beach. 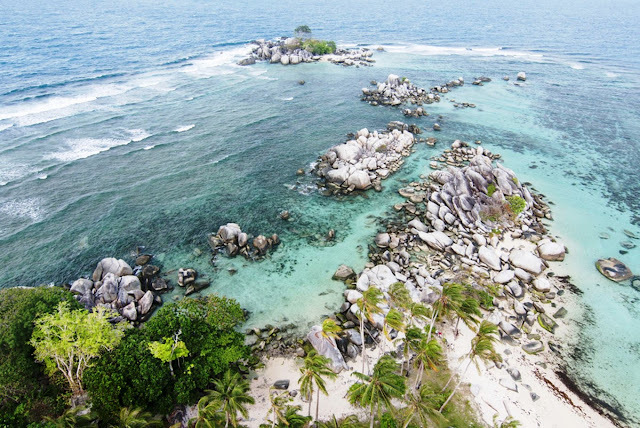 Bangka Belitung Islands Governor Erzaldi Rosman said the two new zones would complement the existing zone in Belitung, raising the number of KEKs in the province to three and increasing its tourism potential threefold. "Tanjung Kelayang KEK is already geared toward nature's beauty. So, each [KEK] will have its own potential and [they] won’t clash. They should give tourists choices," Erzaldi said. The governor added that the KEKs’ development would not just be determined by the so-called “3A” factors of access, amenities and attraction, but also by the involvement of chief executives.